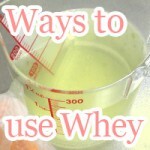 There are tons of ways to use whey. Add added nutritional value to your cooked rice. Eating rice with whey gives you the amino acid lactoferrin not found in rice. There has to be something that you can do about the "water" sitting on top of your yogurt. In particular, you can make strained yogurt*. That water is what is called "whey." You've heard of whey protein powder before, haven't you? - That's the same whey. It may not be obvious at first but there are a lot of ways to use whey such as when you are cooking. 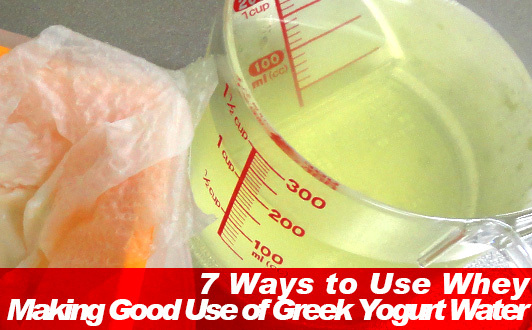 It is a great way to make use of water that gets left behind after making Greek yogurt. You are not going to throw that water away, are you? Even if you knew how good Greek yogurt water is for you, not knowing how to use it turns out to be not a bad reason to toss it in the garbage. It turns out that there are all kind of things you can use it for. For people wondering *How to make strained yogurt? - Please check the following. Don't start freaking out just yet. The water coming out of your yogurt is in fact just yogurt whey. In addition to the water content of yogurt, it contains proteins such as lactoferrin, calcium, and other vitamins. Yogurt contains a good balance of amino acids along with being a low fat source of protein, making it an excellent food to be eating while on a diet. You're just in luck! - Whey helps you prevent overeating. Whey contains a peptide called "glycol-macropeptide." Glycomacropeptide helps lower your appetite by promoting secretion of hormone "cholecystokinin" making it easier to get full eating less. Whey can be used a wide variety of ways in cooking. Here, we introduce 7 yogurt whey recipes; but that's not all, it is possible to be used of a variety of dishes so please try to challenge. Milk and whey come together to help you make your own yogurt drinks. That is why whenever you don't know what to do with leftover Greek yogurt water, just drink with a glass of milk. That'll lower your carbon footprint. 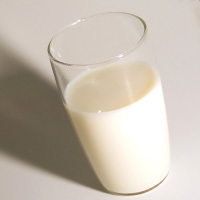 Mix whey and milk together at a 1:1 ration (1 part whey and 1 part milk) and adding sugar or honey, there you have it. You just made yourself a yogurt drink using whey. If you don't have a lot of whey (i.e. you didn't make as big a batch of strained yogurt as you usually do), it is okay to use more milk. That means 1:2 whey to milk ratio. 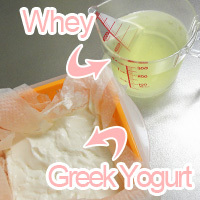 Note that making it with a high percent of whey results in a taste like sour yogurt. Carbonated water and whey may be the next best thing when it comes to nutrition backed with the appetite suppressing effect of drinking carbonated water. 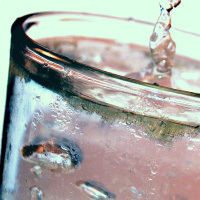 Why drink plain carbonated water? - Drink it with whey. Add whey and a suitable amount of honey (try not to get carried away) to carbonated water. What you get is a sort of juice. A carbonated water to whey ratio is recommended when mixing. Carbonation helps satisfy your appetite making it easy to prevent overeating. This may be useful when on a diet. You may be thinking, "Isn't a low calorie carbonated drink the same thing?" Although low calorie drinks with carbonation may be 0 calories, they may use artificial sweeteners. However, with carbonated water and whey, you get the nutrition of whey and honey at the same time. Curry and whey is game for making curry. Among the other things you may be hiding in your curry such as coffee, chocolate, and who knows what; whey is one secret ingredient that you don't want to leave out to make the best curry you've ever made. Make it with whey. 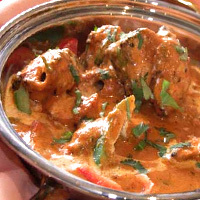 By adding whey to curry you greatly improve the richness in the curry you make. When making curry with whey, just use whey in place off the water you use normally. When you have more than enough whey to spare, whey can be used instead of water. 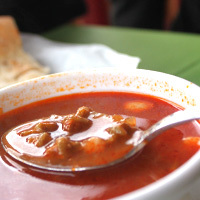 In addition, whey can also be used in stews as well as curry and boiled tomatoes. Whey in miso soup tastes great. Why makes a great compliment to miso soup broth, tofu, and kombu seaweed. Better yet, it doesn't have to be miso; Whey can be used in just about any type of soup. I recommend tomato soup with whey. Whey goes good with any soup so you shouldn't have any issues adding it to miso soup! Is congenial to any soup, whey is OK even if I put it in a miso soup! For people who always get left with leftover whey from making strained yogurt, making miso soup with whey is highly recommended. The best ratio between water and whey ratio for miso soup is 2:1. This ensures you don't have to worry about the sour taste from adding too much whey. If miso soup and whey is not your thing, using tomato soup or consomme soup works just as good. Sour rice!? - That may be the first and last time you thought about whey and rice. (I don't blame you.) But, you don't have to make rice only using whey. Dilute it with water to keep it from turning your rice sour and still benefits from whey nutrition eating rice. Using 1 cup** of whey with 2 cups of rice is the recommended ratio between rice and why when making rice with whey. **1 cup, equivalent to 200mL. After washing rice add whey. Then, add a suitable amount of water until reaching the water level when not using whey to make rice. If you are not bothered by eating sour rice, you may want to consider using more whey. 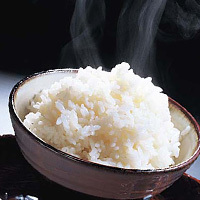 Note that making rice with whey has little effect on the flavor of rice dishes like vinegared rice and sushi rice even if you decide to use all whey and no water. Marinating meat in yogurt is a popular way to tenderize meat that you have probably come across more than once or twice already. Lactic acid bacteria contained in yogurt loosens the muscle fibers in meat that will make your meat plump and soft. Whey contains the same lactic acid bacteria that yogurt contains making it just as suitable for tenderizing meat. 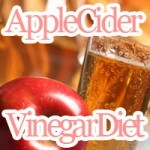 There are many ways to use fruit and vegetable juice that go beyond drinking. 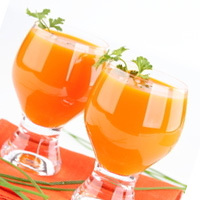 You use water to make fresh juice from raw fruits and vegetables. How about you try using whey instead of water? Not only does it taste great but is also packed full with essential nutrition from whey. 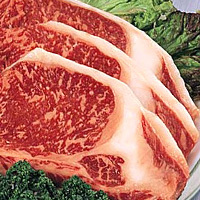 It is nutrition and delicious. Adding a little bit of yogurt makes a great fruit or vegetable flavored yogurt drinking.